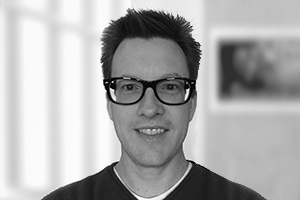 As CEO of Medicom Health, Will is responsible for guiding the organization with a strategic, results-oriented approach. Will has more than 20 years of leadership in the healthcare industry ranging from medical devices to Health Information Exchange technology. Prior to Medicom Health, Will was the President of ApeniMED, Inc. a Minneapolis-based HIT company. ApeniMED provided intra-operable EMR technology solutions to hospitals until IOD, Inc. acquired the company in early 2013. Will then became IOD’s General Manager, overseeing Health Information Exchange which focused on the delivery of technology solutions connecting Medicare and the Social Security Agency to hospitals for a number of high-value workflows. He also presented regularly on Meaningful Use and Intra-operability strategies around the country. Will is an active member of HIMSS and Life Science Alley. He is also a graduate of Iowa State University, holding a B.B.A in Marketing. Barb Goergen is one of the co-founders of Medicom Health. She oversees all research and instructional design activities for scientific accuracy, reference and health literacy of content. Barb has over 30 years of experience developing medical and health education programs. Prior to Medicom Health, she directed the post-graduate School of Blood Bank Technology for the American Red Cross in Madison, Wisconsin. Barb is an active member of LifeScience Alley, as well as the board of directors of the Minnesota chapter of Achievement Rewards for Collegiate Scientists. She has a B.S. degree in Medical Technology from the University of Michigan. Tony Huth is President and one of the co-founders of Medicom Health. 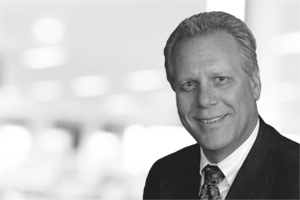 Tony contributes to new business, partnership development, and investment initiatives. He also directs and manages Medicom Health’s marketing, PR and corporate communication efforts. For 20+ years, he has developed consumer-facing software tools to help influential health organizations inspire individuals to address their health concerns. Tony holds a Bachelor of Arts degree from Augsburg College. Corey Maul is the COO/CTO of Medicom Health, managing all technology aspects of company operations, including development staff, IT operations, and technology directions. Prior to Medicom Health, he was founder of a student technology training program for Washington University in St. Louis. The program allowed undergraduate students to complement their existing degree programs with over 90 different seminar-style technology courses. Corey holds a B.S. degree in Computer Engineering from Washington University, an M.B.A. from the Carlson School of Management, He is also an active member of the Twin Cities Google Technology User Group, among others. Connie Bush serves as Chief Financial Officer for Medicom Health. She leverages over 25 years of financial and operational experience as she directs and manages the financial aspects of the company. 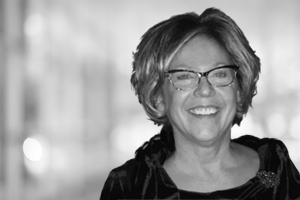 Prior to joining Medicom, Connie held various consulting and leadership roles, including, Chief Financial Officer and Chief Operating Officer of ApeniMED, Inc., a Minneapolis-based heathcare IT company. Connie holds a BA in Business Administration from Hamline University with a concentration in Accounting from the University of St. Thomas. Connie formerly held an active CPA license. 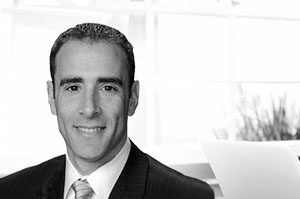 Josh Fieldman serves as Vice President, Sales for Medicom Health. He is responsible for sales, business development, and ensuring our products meet the needs of our customers. Prior to joining Medicom Health, Josh was Vice President of Sales at ABILITY Network, managing the direct sales team during the acquisition of their main competitor, IVANS. Josh earned an MBA at the University of St. Thomas and holds a Bachelor of Arts in Economics from the University of Minnesota. 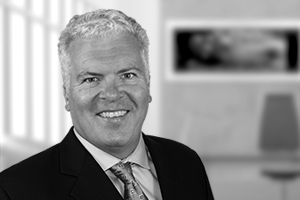 Chris has extensive experience in sales management and partnering with some of the largest and most prestigious healthcare organizations in the world. A successful entrepreneur in the healthcare technology industry over the years, Chris has vast experience in most every progression of the technological evolution. This includes on-premise and cloud-based solutions. Chris’ background working with physicians, hospitals, payers, and solutions vendors provides depth and insight to successful partnerships. Currently, John is EVP at Cedar Point Capital, a boutique investment bank focused on capital formation for private companies, primarily in healthcare. He also serves on the boards of Medicom Health, Admedus Ltd, Phraxis Inc., and Minneapolis Heart Institute Research Foundation. Previously, John was Co-Founder, Chairman, and CEO of NeoChord Inc., a venture capital company commercializing technology developed at Mayo Clinic for the repair of the mitral valve via minimally invasive surgical techniques. 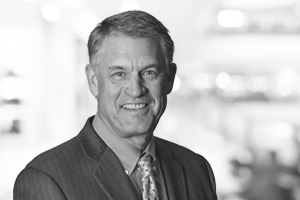 Prior to NeoChord, John spent ten years at Guidant Corp where he was Vice President, Sales in the Cardiac Surgery and Cardiac Rhythm Management divisions. In 1991, John co-founded ACIST Medical and served as its first President and CEO. ACIST Medical manufactures and distributes power injection technologies for coronary angiography and was acquired by Bracco Ltd. in 2001. He was also the founder and CEO of Seaberg Medical, a regional distributor of implantable cardiovascular devices. He received a B.A. in Speech Communications from the University of Minnesota and his MBA from the Carlson School of Management at the University of Minnesota. John is married to Barb, has two adult children, and five busy grandchildren. In his leisure time, he enjoys time at the cabin, fishing, and golf. We’ve found the HRAs to be most successful at local health and wellness events. They not only provided a unique tool to drive traffic to our booth but have also given our providers the ability to interact directly with potential patients. This interaction is invaluable. The follow up reminders are a great way to continue to build upon the relationship.